Sunnyside Baptist Church has been serving the Sunnyside community since 1947 and has continued to grow rapidly in mission and influence. 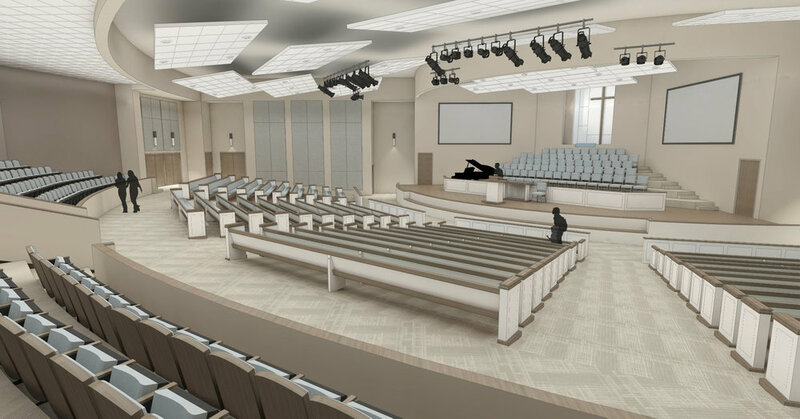 Thomas Weems Architect was enlisted to design a multi-phase worship center to expand their campus in response to their growth. 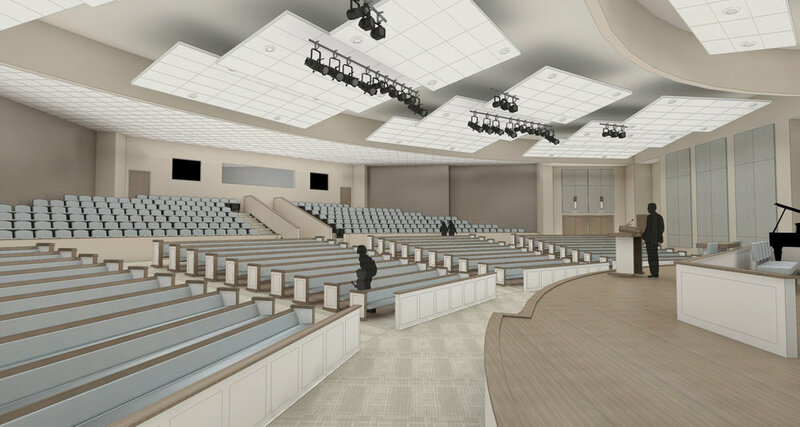 The first phase of the worship center will feature an expansive gathering area with enclosed cupola and an 800 seat sanctuary. It will also include a brand new classroom wing with multi-purpose spaces to increase flexibility of use and modifications to add covered drives to existing entrances. The second phase will double the capacity of the sanctuary and finish off the classroom wing, while also adding a smaller entrance to expanded parking. The final worship center will fuse the history of the existing campus with the promise of the future.